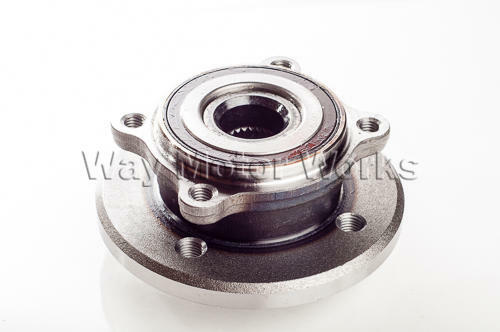 Wheel Bearing Hub assembly for 2002-2006 R50, R53 MINI Cooper and Cooper S and 2005-2008 R52 MINI Convertible. Over the years we've seen many of these wheel bearing wear out causing rumbling noise or just have play in them. Some shops will call this wheel bearing the hub assembly. Both names are correct. Fix that terrible noise today with a new bearing. Also if you have stripped a lug bolt or two this is the correct fix for that. Sold as individual bearing front or rear as shown in picture. Please check the lug bolt size or production date on your MINI prior to ordering to ensure you get the proper wheel bearing.